There is more to LIFE- Go beyond the classroom. 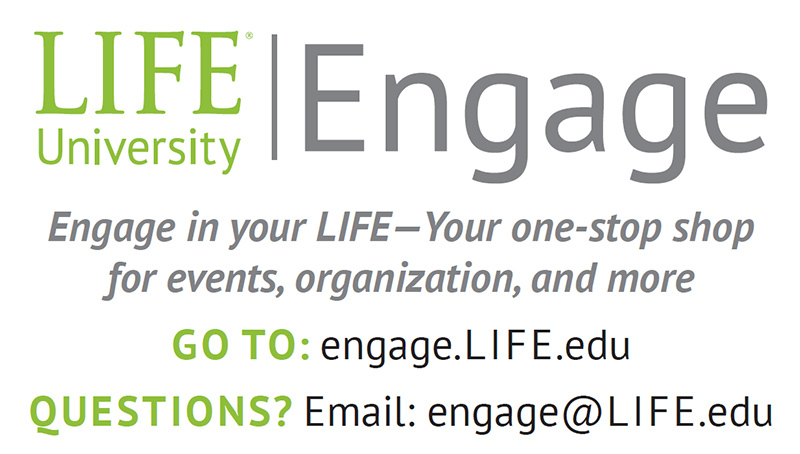 This is your Life University, experience all of it! Recognizing that well-balanced students are infinitely more prepared for life after college, Life University offers opportunities for student involvement, for students to express themselves, contribute to their talents and develop new friendships and relationships both on campus and in the community. 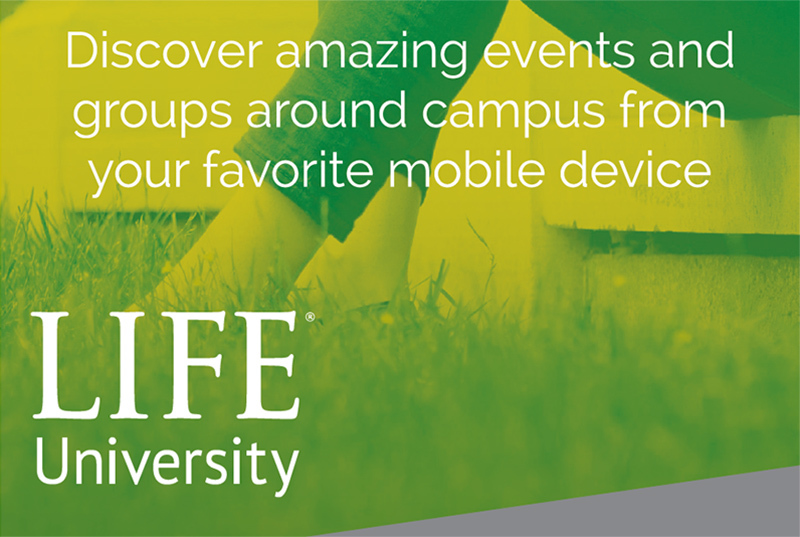 Life University offers various clubs and organizations which you can join. From nutrition clubs and organizations to sports clubs, and from Student Council to chiropractic technique clubs, there is something for everyone. 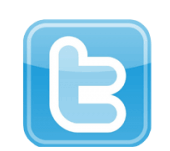 Login with your LIFE username and password. Engage is your way to connect to organizations, communicate with other members, and explore your community. 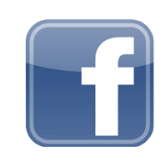 Find Organizations and Events: Join the organizations you are already a member of or find out what else is going on in your area. Stay Connected: Use discussion boards, news posts, and group messaging to communicate within your organizations. Keep Track of Involvement: Record your activities and memberships to showcase your involvement while at LIFE. 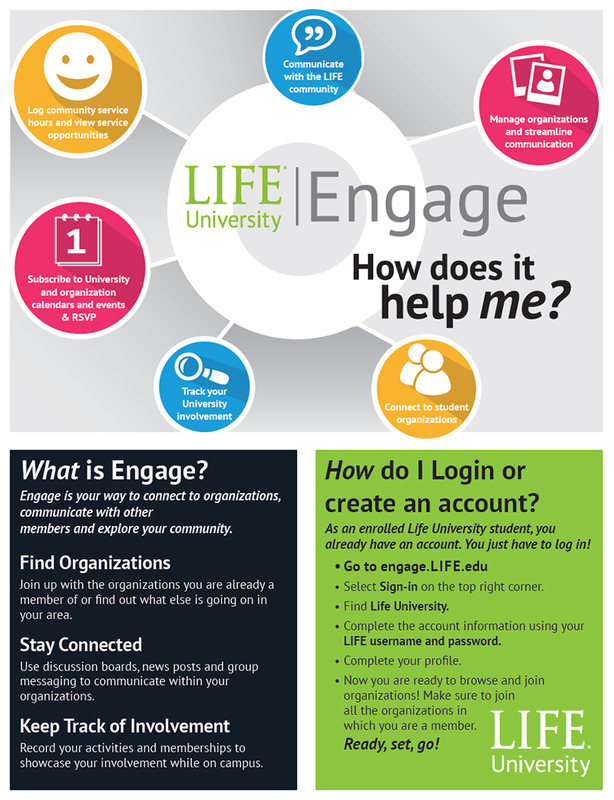 The LIFE community uses a custom login system to give you access, so you don’t have to create an account, you can use your LIFE username and password to sign in at engage.life.edu.